EDWARDS — Vail Jazz is hosting live webcasts of Jazz at Lincoln Center performances featuring some of today’s most notable jazz artists. Watching the pros at work from a few thousand miles away with a glass of wine and good company is a wonderful way to combine front-row seats with an intimate viewing experience. Local Edwards eatery eat! drink! is teaming up with Vail Jazz throughout the winter season to pair live webcasts from Jazz at Lincoln Center with boutique wines and delectable small plates. The series kicked off on in mid December and continues Thursday evening with Papo Vazquez Band of Mighty Pirate Troubadours at 7:30 pm. A veteran trombonist and bandleader, Vazquez presents a seven-piece Afro Puerto Rican jazz combo that melds Caribbean percussion with a blazing jazz horn section, delivering a hyperkinetic party with spirited and soulful improvisation. February and March dates have just been added. • Feb. 13th features Dianne Reeves, the most awarded female jazz vocalist of all time. Reeves’ signature sound and fondness for love songs will make for a perfect pre-Valentine’s Day performance. Reeves will treat audiences to an intimate evening of music and storytelling, delivered as only she can. • A Salute to Betty Carter on March 6th will feature Benny Green, a frequently featured artist at the annual Vail Jazz Party, and vocalist Charenee Wade. Carter blazed her own trail as one of the most original jazz vocalists of our time, known for her flawless phrasing, uncanny unpredictability and signature glissando. Expect to hear familiar favorites of Carter’s legacy. 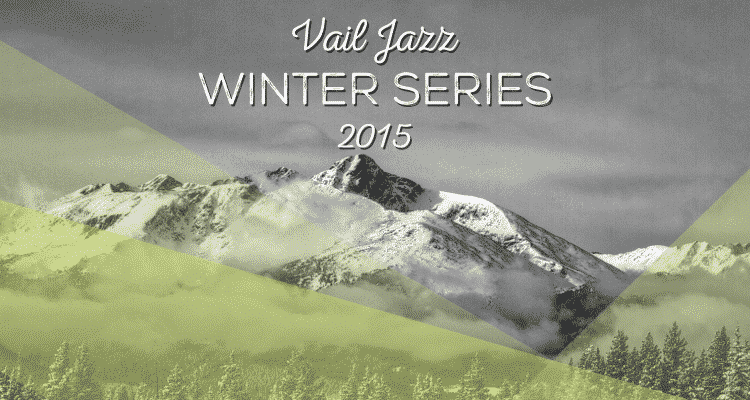 Tickets are on sale for Vail Jazz Winter Series live performances, which take place through early April. Featured performances include soirées with Marcus Roberts on Feb. 15 and Diego Figueiredo on March 13, each at private homes as well as a trio of performances at Cucina at the Lodge at Vail. Gypsy Jazz Jam on Feb. 28 highlights Frank Vignola, Vinny Raniolo and Andreas Oberg, three of today’s most outstanding guitarists in the French Gypsy swing style, Hammond B3 organ extraordinaire Tony Monaco will return to Vail with his signature Jimmy Smith sound on March 27, and finally the Allan Finney Sextet will hold their CD release party on April 2 as a lively conclusion to the Vail Jazz Winter Series. More information is available at www.vailjazz.org or by calling 970-479-6146. VAIL — Beth Slifer and Nina McLemore are collaborating on Slifer Designs at Nina McLemore, a shared space at 183 Gore Creek Drive in Vail Village. Slifer Designs is a home store that has become a must-see to many locals, visitors and second-home owners. It’s here that Slifer and her buying team create distinctive home designs. The Nina McLemore boutique opened in Vail Village in January of 2012. Owner and designer Nina McLemore has stores and sales consultants across the country, including Aspen. The collection features designer clothing for women. McLemore was featured in the July 3 issue of the Wall Street Journal as The Ultimate Power Dresser. McLemore’s clients include Federal Reserve Chairwoman Janet Yellen and the president of Pepsico, Indra Nooyi. Slifer Designs is entering its third decade in the valley and the new boutique is just one more way to stay true to its Vail roots. The store is already planning soirees and special offerings throughout the winter, allowing for new items and Slifer’s design know-how to pour through the doors. McLemore will be introducing her new spring collection in late January. Slifer and McLemore are hosting an afternoon jazz event on Jan. 2 from 2 p.m. to 4 p.m. to benefit the Vail Jazz Foundation’s Jazz Goes to School program. 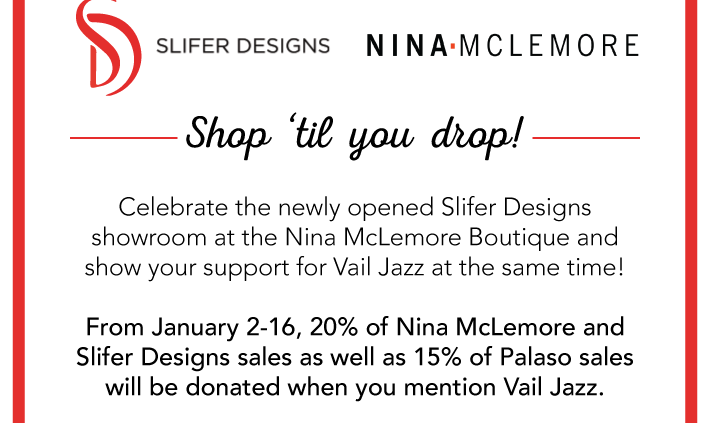 A percentage of Nina McLemore and Slifer Designs at Nina McLemore will be donated to the foundation from Jan. 2-16 when Vail Jazz is mentioned. 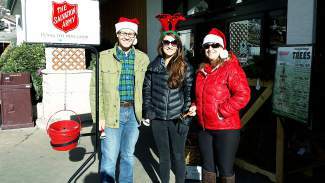 Owen Hutchinson, Christin Fergus-Jean and Robin Litt, of the Vail Jazz Foundation, support Salvation Army by ringing bells at City Market in Vail! Many thanks for supporting our efforts in the Vail Valley. To become a bell ringer check out our website www.salvationarmyvail.org or call 970-748-0704. Cuba’s Gran Union musicians to sit in on Philly Jam. Philadelphia Orchestra stars meet Cuban jazz favorites on Jazz After stage The hypnotizing musical conversation between orchestra stars on a small stage continues this Wednesday, July 10 with Jazz After: The Philly Jam performance at Larkspur Restaurant. Following the Bravo! Vail Philadelphia Orchestra concert, select musicians will head to the intimate setting of Larkspur Restaurant’s Great Room at 9:15 p.m. The dynamic will be augmented by the presence of players from Cuba’s Wil Campa Y Su Gran Union, who will join in on the spontaneous and highly unique jam. Jazz After is a joint production of the Vail Jazz Festival and Bravo! Vail, the Philly Jam is the second of the trio of exclusive Jazz After performances this summer. The final Jazz After performance is set for Wednesday, July 24 and will feature members of the New York Philharmonic with special guest, Bramwell Tovey. Tickets are limited and can be purchased at vailjazz.org for $20 in advance or $25 day of show. Larkspur will have a $20 food and beverage minimum per person. Complimentary valet parking is available. What: Members of the Philadelphia Orchestra and Cuban jazz stars playing a uniquely spontaneous freestyle set in an intimate lounge setting. Vail, Colo. is universally held as North America’s top year-round destination mountain resort and has become a cosmopolitan community with visitors from all over the world. Founded in December 1962, Vail marked its 50th anniversary this winter as the new home of the Burton US Open Snowboarding Championships. Also home to world Alpine ski racing champion Lindsey Vonn, the legendary Back Bowls of Vail Mountain, and in 2015 Vail will host its third World Alpine Ski Championships. Matching the incredible winter mountain experience, Vail from May through October is characterized by a rich culinary scene, a world-class events schedule from adventure sports to classical and Jazz, family activities and everything in between. Leading this lineup is the Vail Jazz Festival, Bravo! Vail Music Festival, the Vail International Dance Festival, America’s greatest bicycle race, the USA Pro Challenge, and the legendary Gourmet on Gore culinary festival and Vail Jazz Party capping off the summer season. Vail also offers exceptional lodging from high-end luxury hotels to practical condominiums and vacation rentals. Getting to Vail is easy via Denver International Airport and close by Eagle Airport, America’s fourth busiest regional airport with non-stop service from nine major U.S. cities including the new Houston flight, and connections from around the globe. Once here, Vail proudly offers the largest free public transportation system in North America. The Vail consumer website is www.vail.com, and the Town of Vail website is www.vailgov.com. The 19th annual Vail Jazz Festival is produced by the Vail Jazz foundation and sponsored by Town of Vail, Alpine Bank, AT&T, CME, The Jazz Cruise, Vail Daily, William Hill Winery, New Amsterdam Vodka and Gin, KUVO and KVJZ, Alpine Aire, Alpine Party Rentals, The Arrabelle, Yamaha, KZYR, Mighty Fine Productions, Rocky Mountain Reprographics, Lionshead Summer, Hertz, Larkspur Restaurant, Vail Marriott Mountain Resort, Avalon Clothing and Kelly Liken. https://www.vailjazz.org/wp-content/uploads/2015/03/vail-jazz-logo-color.png 250 250 Vail Jazz https://vailjazz.org//wp-content/uploads/2015/03/vail-jazz-logo-color.png Vail Jazz2013-07-08 13:52:462015-05-05 14:33:24Philadelphia Orchestra members to jam with Cuban jazz artists on July 10! 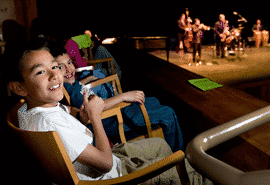 April 24, 2013 – Vail, Colorado – When Jazz Goes to School wraps up its fifteenth year in Eagle County with three special jazz performances at the Vilar Performing Arts Center in Beaver Creek on May 6 & 7 featuring the Jazz Goes to School Sextet, members of the public are invited to attend. “This is such a rich and exciting performance that we want to open it up to the whole community,” said Robin Litt, executive director of the Vail Jazz Foundation. Tickets are available to the public for the three performances at $15/adults and $5/children. Proceeds from ticket sales will go to the Vilar Center Community Performance Fund. Performances take place at 9:30 am and 1:00pm on Monday, May 6th and at 9:30 am on Tuesday, May 7th . Ticket can be purchased at www.vilarpac.org or by calling 970-845- TIXS (8497). The fourth and final session of the Jazz Goes to School educational program, entitled “A Tribute to the Giants of Jazz”, features a selection of tunes that have shaped the history of jazz in America. Local jazz musician and professional jazz educator, Tony Gulizia (keyboard and vocals), directs the Jazz Goes to School program. “The concert includes legendary jazz tunes by Duke Ellington and Benny Goodman, Miles Davis, Dizzy Gillespie, and others”, said Gulizia. “We also perform a medley of blues compositions authored by the fifth graders as part of the concert – their lyrics are priceless!” said Gulizia. Tony Gulizia’s brother Joey, also a professional jazz musician and educator (drummer), joins Tony on stage, as does Andy Hall (bass), Roger Neumann (saxophone), Mike Gurciullo (trumpet) and Michael Pujado (congas and percussion). The sextet presents a dynamic, foot stompin’ show that pulls together all the concepts taught in the first three classroom sessions, as demonstrated in some of Jazz’ finest works. Jazz Goes to School is presented by the Vail Jazz Foundation (VJF), a 501 c3 charitable foundation dedicated to the perpetuation of jazz through performances and education, with a focus on young musicians and young audiences. The program educates over 1,100 fourth and fifth graders annually in the Eagle County School District RE-50J, plus the Eagle County Charter Academy, Vail Mountain School, The Vail Academy, Stone Creek Charter School, St. Clare of Assisi, and Vail Ski & Snowboard Academy. Jazz Goes to School has exposed over 15,000 school students to jazz music since inception. New in 2013, elements of Jazz Goes to School will be offered to local and visiting youngsters in three free interactive sessions called “Jammin’ Jazz Kids” on July 7, July 28 and August 18th in conjunction with Jazz @ The Market on the Solaris green. “We can’t wait to bring parts of Jazz Goes to School’s successful and engaging programming to the community in a new environment,” said Litt, “Kids will have hands-on educational and entertaining opportunities to learn the fundamentals of jazz.” Youngsters, ages 6-12, will play a variety of percussion instruments – maracas, bongos, congas, tambourines, xylophones and Orff instruments in the programs, which will take place at 11am on each of the respective Sundays. Participating children will also listen to and join with jazz musicians in playing music and learning the art of improvisation. Jazz Goes to School is sponsored in part by Alpine Bank, Vilar PAC Community Use Fund, Colorado Mountain Express (Official Transportation Provider), Eagle County RE-50J School District elementary school PTOs, PTOs of the private and charter schools, Ella Fitzgerald Charitable Foundation, United Way Eagle River Valley, Vail Resorts Echo, Vilar Performing Arts Center, AmericInn, Antlers at Vail, Local Joe’s Pizza, and numerous private donors. Ticket to Jazz Goes to School Sextet on May 6 and 7 can be purchased at www.vilarpac.org or by calling 970-845-TIXS (8497). https://www.vailjazz.org/wp-content/uploads/2013/04/students-at-vilar.png 185 270 Vail Jazz https://vailjazz.org//wp-content/uploads/2015/03/vail-jazz-logo-color.png Vail Jazz2013-04-24 13:42:012015-03-03 16:40:05Jazz Goes to School Sextet to Fill Vilar With Sounds of Jazz – Public is invited! October 22, 2012 – Vail, Colorado – The Vail Jazz Foundation recently wrapped up its most successful summer festival in its 18 year history. The Vail Jazz Festival, produced by the Vail Jazz Foundation, boasted record attendance and ticket sales at its 40 performances, contributing positively to Vail’s summer economy for a full 12 weeks of the summer. The 2012 season included 9 weekly free concerts at Vail Square, 10 free weekly concerts at the Vail Farmers’ Market, and 7 shows, including two free, as part of the Labor Day Weekend Jazz Party and a number of new performances. Debuting this year were Jazz @ Kelly Liken, featuring jazz each of 10 Sunday nights at Restaurant Kelly Liken, the three-part Jazz After series in conjunction with Bravo! and Larkspur Restaurant, and a joint performance at the Ford Amphitheater featuring Curtis Stigers and the Dallas Symphony Orchestra. The Vail Jazz Festival is now the longest summer festival in Vail – spanning from late June to early September. Attendance grew at all of the Vail Jazz Festival’s performances, with a 15% increase in year over year attendance at the Labor Day Weekend Jazz Party. The Vail Jazz Festival included a variety of different styles of jazz in multiple, unique locations, all in an effort to widen the audience and appreciation for jazz. The outdoor free concerts every Sunday at the Vail Farmers’ Market featured regional and national acts performing in a tented venue at Solaris with 3 shows throughout the afternoon continued to be a popular gathering for visitors and locals alike, seating 75 in the tent and an equal number around the plaza area .-.. Jazz@ Vail Square, the weekly Thursday night concert series in Lionshead continued to grow in popularity this summer, hosting 350 under the tent as well as hundreds of guests who enjoyed the performances from surrounding restaurant patios and as they walked by. The inaugural season of Jazz @ Kelly Liken featured local jazz artist, Tony Gulizia with different guests each week. The combination of Kelly Liken’s Harvest Menu and the swinging sounds of jazz filled the restaurant each Sunday night. Larkspur and Bravo! partnered with the Vail Jazz Foundation to host the first year of Jazz After, a series that featured members of each of Bravo’s resident orchestras (Dallas Symphony Orchestra, Philadelphia Orchestra and New York Philharmonic) in a jam session style performance in the Great Room at Larkspur. These tremendously successful events experienced overflow crowds at each performance. Changes are in the works to further enhance the experience for Jazz After guests in 2013. The joint performance at the Ford Amphitheater with Bravo! presented Curtis Stigers and the Dallas Symphony proved to be an overwhelming success, while the two organizations are currently working on another joint performance for the 2013 season. And lastly, the five-day Labor Day Weekend Jazz Party, which presented today’s top jazz artists in an intimate and engaging series of round-the-clock performances at the Jazz Tent at Vail Square and the Marriott’s Grand Ballroom, boasted record attendance. The Vail Jazz Festival fueled the Vail economy and made an especially large impact at times when business is slower. The Thursday night Jazz @ Vail Square series attracted locals, down valley residents as well as part time homeowners and visitors, many of whom dined and shopped in Vail before and after the performances. The Vail Jazz Party over Labor Day Weekend brought hundreds of destination guests to Vail. There was not only record attendance this year but attendees extended the length of their visits considerably, many coming a day before and/or staying a day after the Jazz Party thereby substantially benefiting the local economy. “In addition to the large number of destination guests who attend, we see more and more part time residents extending their summer stay in Vail through Labor Day so they can attend the Jazz Festival,” noted Litt. On the heels of the tremendously successful summer Jazz Festival, the Vail Jazz Foundation will once again present its annual Winter Jazz Series and the exciting line-up will be announced in November. The Vail Jazz Foundation is particularly pleased to announce that it was recently awarded a grant from Colorado Creative Industries, a division of the Office for Economic Development. The grant is made possible through an annual appropriation from the State of Colorado and a federal grant from the National Endowment for the Arts. “We are pleased to make this investment in creative organizations and activities that drive economic growth, support jobs, and improve quality of life throughout Colorado,” said Elaine Mariner, Director of Colorado Creative Industries. The Vail Jazz Foundation is one of just three Eagle County organizations to receive funding for 2013. Vail, CO – The Vail Jazz Festival, now in its 18th season has teamed up with the Bravo! Vail Valley Music Festival to present three jam sessions immediately following orchestral performances by the Dallas Symphony Orchestra, the Philadelphia Symphony Orchestra and the New York Philharmonic. The series is titled Jazz After and will showcase select members of each orchestra in a casual, jazz-club setting. The first session, Jazz After: The Dallas Jam will be held on Saturday, June 30 at 9pm. All Jazz After performances take place in Larkspur’s Great Room in Golden Peak and are free and open to the public. Food and drink will be available, provided by Larkspur Restaurant. Additional Jazz After performances are The Philly Jam on Wednesday, July 11 and The New York Jam on Wednesday, July 25. With 40 performances from June 24 through September 3, the 18th annual Vail Jazz Festival presents headliners such as Marcia Ball, Byron Stripling, the Jeff Hamilton Trio and the Brubeck Brothers Quartet in a variety of ticketed and free events in intimate indoor and unique outdoor venues throughout Vail. Featuring diverse jazz genres from straight-ahead and new-bop, to Latin, swing and the Great American Songbook, the Festival culminates with the Labor Day Vail Jazz Party featuring more than 30 hours of music in a five-day celebration of jazz. Through the end of August, The Times of Dave Brubeck exhibit will be on display from 10am – 8pm daily at the Visitor’s Center in Vail Village, chronicling the outsized impact of this jazz legend. This tribute focuses on Brubeck’s musical and cultural accomplishments, through documents, photographs and audio clips. The Town of Vail’s Wednesday Art Walks will begin at the Brubeck exhibit each week throughout the summer. The exhibit, on loan from the University of the Pacific, will also be on display over Labor Day Weekend outside the Vail Marriott’s Grand Ballroom. Continuing The Vail Jazz Foundation’s Brubeck celebration, the Brubeck Brothers Quartet (featuring two of Dave’s sons) will kick off the Jazz @ Vail Square summer series at 6pm on Thursday, July 5. Additionally, as an element of the Jazz Festival’s Labor Day Weekend Party, August 31 will feature Grammy awarding-winning arranger, composer and pianist Bill Cunliffe’s Multi-Media Tribute to Dave Brubeck, using classic video, narrative and a live performance of Brubeck’s music. The Vail Jazz Foundation is a 501(c)3 charitable foundation dedicated to the perpetuation of jazz through performances and education, with a focus on young musicians and young audiences. The Vail Jazz Festival is sponsored by Alpine Bank, Colorado Creative Industries, Colorado Mountain Express – Official Transportation Provider, Ella Fitzgerald Charitable Fund, Lionshead Summer, National Endowment for the Arts, New Amsterdam Vodka, Ravenscroft Pianos, The Jazz Cruise, Town of Vail, William Hill Vineyards and Woods & Son/Yamaha Pianos.